TODO Project: Raspberry Pi Cluster | Progress Matters. 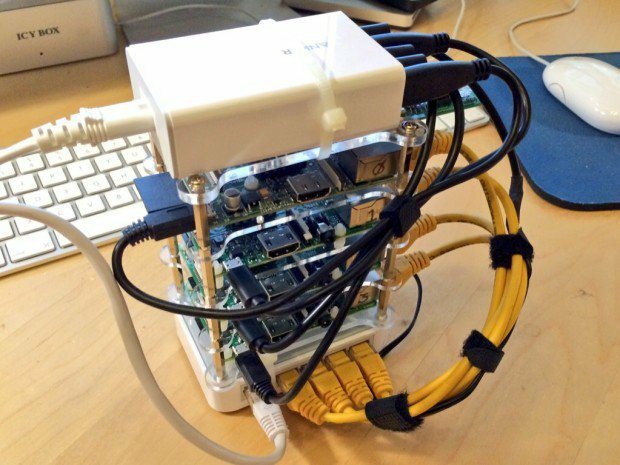 One of the most interesting projects I recently came across was this tutorial on building a 4-node cluster using Raspberry Pis. This is really cool as you can build a small n-node supercomputer of sorts with distributed computing. I’m working with a team that is exploring some pretty heavy image analysis programs on video streams, so this could be a nice concurrent project to help us in our development. I’m going to have a crack at it over the next few weeks and will post how it goes, but the tutorial thankfully looks really thorough.